With the all new and improved Billboards you'll give Advertisers the recognition and space they deserve. 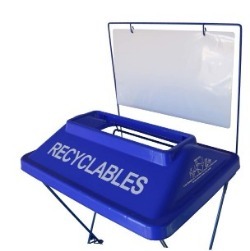 Attach the Billboard sign kit directly to the Ad Bins you are already using! Choose between the three options below to make your Advertisers message PRIMETIME! 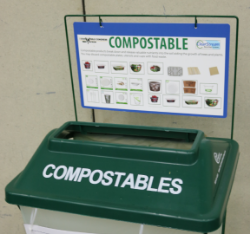 Click Images Below to see product page or email Sales@clearstreamrecycling.com to get started. Blank Unprinted Billboards(21” x 12”) come with clear plastic sleeves for inserting your own artwork. 17" x 11" inserts print on ledger paper. You can order inserts up to 20" X 11"
For Custom Printed Inserts call or email ClearStream to request a quote! Printed Standard Billboards(also 21” x 12”) can be printed by ClearStream on 1 or 2 sides with professional quality graphics. No Sleeve Needed. Billboards hang directly from hanger frame. For custom billboards call or email ClearStream to request a quote! CLick Here to Take a look at previous signs produced by clearstream!